While the term ‘giving birth’ sounds like one long process, there are three very distinct stages to labour: dilation, birth, and delivery of the placenta. Below, we take a look at what you can expect during each stage of labour. This is when the cervix dilates from zero to three centimetres, which can take hours, days or even weeks. You might not be entirely aware that it’s happening. But eventually you’ll start noticing some surefire pre-labour signs like mild contractions, backache, and possibly diarrhoea. Some time during this phase you will also see a ‘show’ – a small, bloody discharge that signals your cervix has thinned and is dropping the mucous plug. Another key sign to watch for is a trickle or gush of water as your membranes break. Now – it’s go time. Contractions will now be flowing thick and fast, possibly three or four minutes apart, and lasting up to 60 seconds. This is when the cervix is doing a lot of work, dilating from three centimetres to approximately eight centimetres. There’s a reason this active phase feels like running a long, hard marathon: it’s tough work, and you may find you want some pain relief options. In Australia, we have three main pain-relief options; Nitrous oxide, which is mixed with oxygen and inhaled via a face mask or tube. It doesn’t do a lot, but it can take the edge off. Keep in mind it doesn’t work for everyone and can cause nausea or vomiting. There’s also Pethidine, which is a strong painkiller injected directly into a muscle in the buttock. The effects last around two to four hours, however there are some risks associated with its use. Finally, there’s epidural anaesthesia, which is when anaesthetic is injected into the lining of the spinal cord through the back, making you feel numb from the waist down. A few of the possible complications include longer deliveries, drop in blood pressure, and very rare but serious complications that involve infections and clots. Be sure to read up on your pain relief options so you can weigh up the benefits and risks. Regardless of whether you do or don’t opt for pain relief, the active phase is extremely demanding, and as you near the end of it, you’ll start moving into the next deeper, more challenging phase. Often described as the point where you ‘hit the wall’. This is when the contractions are intense and frequent – sometimes so frequent they feel like they’re flowing continuously into each other. Your cervix is dilating from eight to ten centimetres, and it’s common to feel completely overwhelmed during this phase. You might also feel shaky, shivery, or a need to go to the toilet as your baby moves down the birth canal and prepares for delivery. 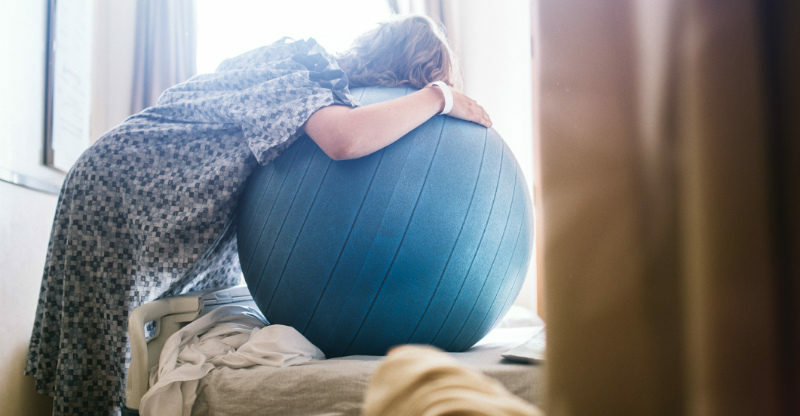 When your cervix is fully dilated, you move into stage 2: your baby’s ready to be delivered. Right about now you may feel a strong urge to bear down and push. Your body will instinctively tell you what to do, plus your midwife or doctor will be there to guide you at the right times to push. This stage can take up to two hours, especially if you’ve had an epidural. Find a position that you feel most comfortable in – maybe that’s squatting, or standing or kneeling. You’ll also be extremely tired at this point, so call on your birthing partner for support. Don’t be surprised if you’re monitored heavily by the doctor during this stage of labour. A long second stage can pose certain risks for the baby, and also for you. So if you’re labour isn’t progressing in this second stage, or there are signs that the baby is in distress, your doctor will be aware of it and be able to make the safest decisions for delivery. Once you do make it through stage 2, the baby’s head will begin to emerge, and your doctor or midwife will guide you to push at certain moments to minimise tears as the shoulders come out, and finally, your baby is born. At this point, your baby will usually be lifted onto your chest for skin-to-skin contact. Some babies may need to have their throats cleared of mucous, or might initially need some oxygen to help their breathing. If they do need some assistance, they won’t be kept from you for very long. 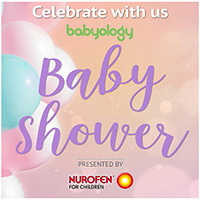 After enduring the pain and drama of stages 1 and 2, this point marks a new flood of euphoria and exhilaration as you realise you’ve done it – your baby is born. This is the business end of labour, when your uterus will continue gently contracting and push out the placenta. It generally takes from ten minutes to an hour. This stage is still carefully supervised by your midwife and doctor, as there is a slight risk of excessive bleeding (postpartum haemorrhage). In Australia, there are two approaches to this stage. With ‘active management’ you’ll be given an injection of oxytocin and the umbilical cord will be clamped and cut. The cord will then be carefully pulled out to encourage delivery of the placenta. This is a very common practice and has been found to reduce complications. The other approach is ‘expectant management’, where the umbilical cord stays connected to the baby and the placenta is left to deliver naturally. Once the placenta’s delivered, you have officially travelled all three stages of labour. Congratulations! Labour has three distinct stages: dilation, birth, and delivery of the placenta. Everyone is different, and the duration of each stage can vary significantly depending on your body and labour. Pre-labour signs start to show in the first stage, during the latent phase. Watch for mild, regular contractions, a bloody show and backache. If your waters break, call the hospital immediately. Your pain relief options are generally available to you during the active phase, in stage 1. At this point, you might find you want more, or less, pain relief than you planned. Talk to your midwife or doctor to find out what’s available. Labour will surprise you in so many ways. Have a birth plan, but stay open to the possibility that things might change. Did you find this helpful? Let us know.